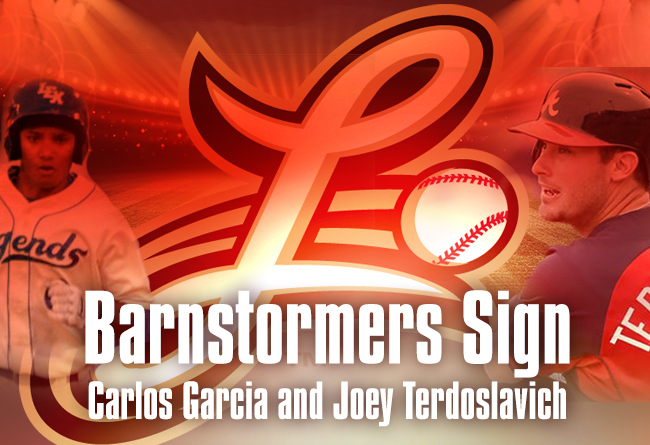 ​(Lancaster, Pa., April 16, 2018) - The Lancaster Barnstormers have signed infielders Joey Terdoslavich and Carlos Garcia to contracts for the 2018 season, it was announced today by manager Ross Peeples. The Lancaster Barnstormers are entering their fourteenth season as a member of the Atlantic League of Professional Baseball. Home games are played at Clipper Magazine Stadium in downtown Lancaster, Pennsylvania. Please call 717.509.HITS (4487) or visit www.lancasterbarnstormers.com for more information.